"It's hard work shoveling buckets of stars," says one of Stephen Hawking's geniuses, but that is exactly what a group does as they work to visualize the true number of stars in the galaxy using tiny grains of sand. Find out if you can comprehend the number as the group continues their quest to learn if there is life beyond our planet. Learn how scientists discover planets outside of our solar system as Stephen Hawking guides his group through different challenges on their quest to discover alien life in the episode "Are We Alone?" When Einstein was just a patent clerk, his mind was already thinking lightyears ahead of the inventors whose work he was filing. Learn about how Einstein came to the conclusion that space and time were linked, and how that changed the field of physics forever. In this class discussion lesson, students learn about specific scientific achievements and aspects of Hawking's life by engaging in a collaborative discussion with peers. 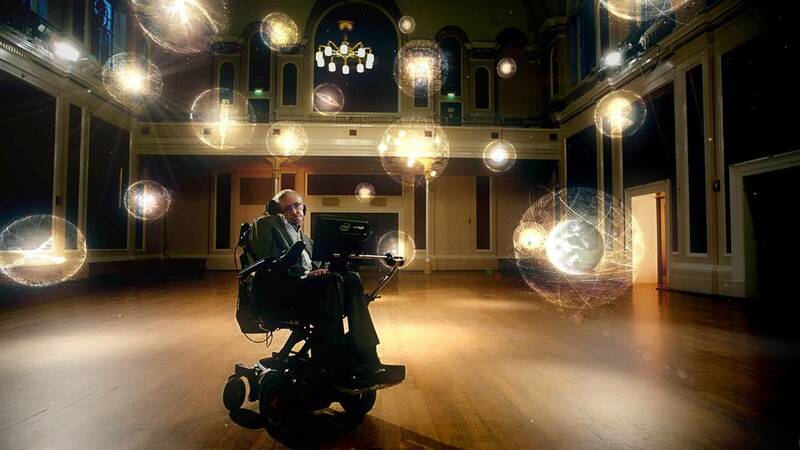 How did Stephen Hawking use the scientific process to further develop the Big Bang theory? Your class learns more about Hawking’s achievements, as well as his struggles with ALS, in this lesson plan. Go in-depth with students on the topic of Black Holes and the Big Bang by analyzing Stephen Hawking's explanation of how the universe came to be, and how his work lead to a new era of cosmological research. ANYONE can think like a genius. Teach your class about one of the most brilliant and inspirational scientists of our time with this lesson plan highlighting Hawking’s biography. Want to know what the first 760,000 years of the universe sounds like? Teach your class about the Big Bang with a video assist from PBS Digital Studios. What is the universe made of? Your class gets a lesson on Dark Matter from the Physic Girl! A recent study found that learning new words activates the same brain region that’s active when we engage in pleasurable activities, like eating cake or seeing a favorite band perform. Kinda mind-blowing, right?